Homemade Almond Milk is super easy to make yourself. Great for those who need a dairy free option! 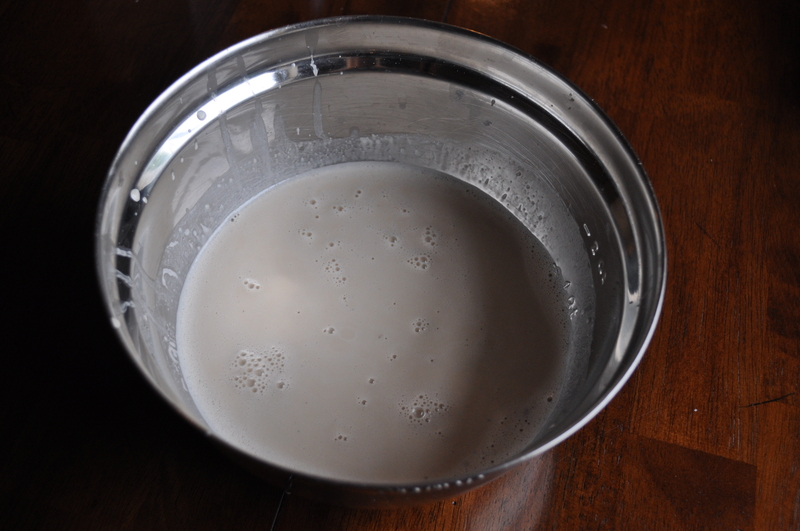 Making your own nut milk is very easy and its even kid approved! I have learned a few tricks along the way that I will pass on to you. First, I by the raw almonds in bulk from our farmers market. They can be pricey, so I tend to buy a large amount when they are on sale. Second, make sure you have a good quality Ultra Fine Cheesecloth . If you treat it well, you can reuse it over and over. Simply, rinse and hang dry. Third, get all your supplies out. I made a huge mess the first time I did it. You can also watch a video of me doing this below. For more videos, you can subscribe to my You Tube Channel. Looking for more non-dairy milk options? 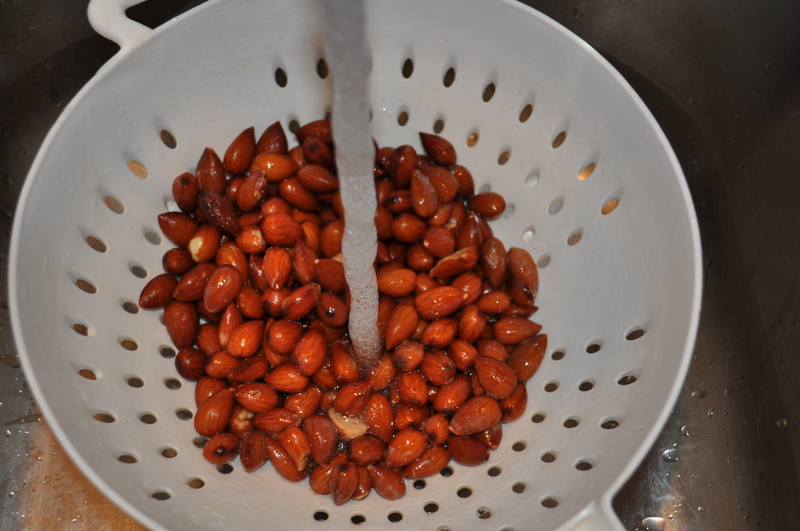 Rinse the almonds until the water comes out clean. 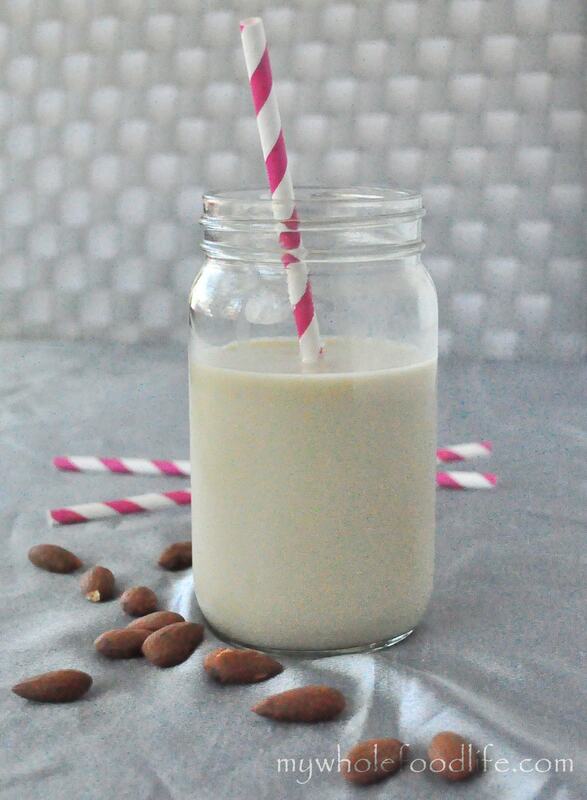 Blend the almonds, water and vanilla in a blender for about 2 minutes. 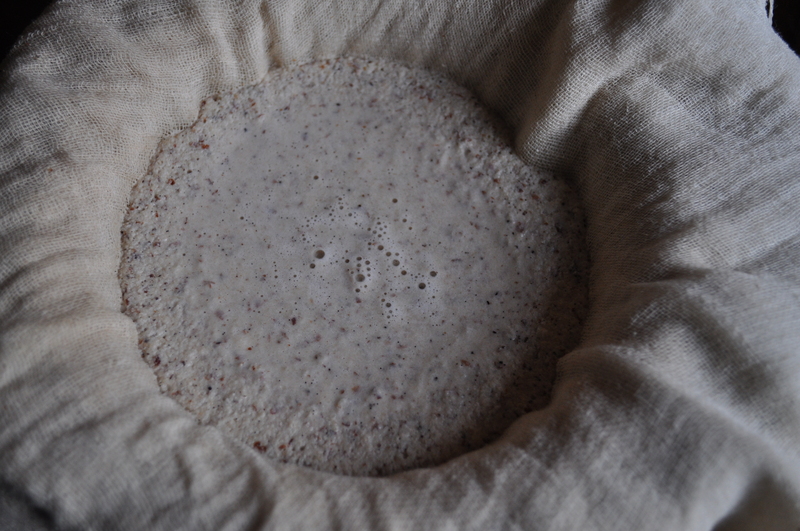 Then have your cheesecloth, strainer and bowl ready for the “milking”. Squeeze the meal inside the cheesecloth until no more liquid comes out. This takes a bit of muscle. Once complete the left over liquid is the milk. Once all the water is out, dump the meal onto a plate or baking sheet. 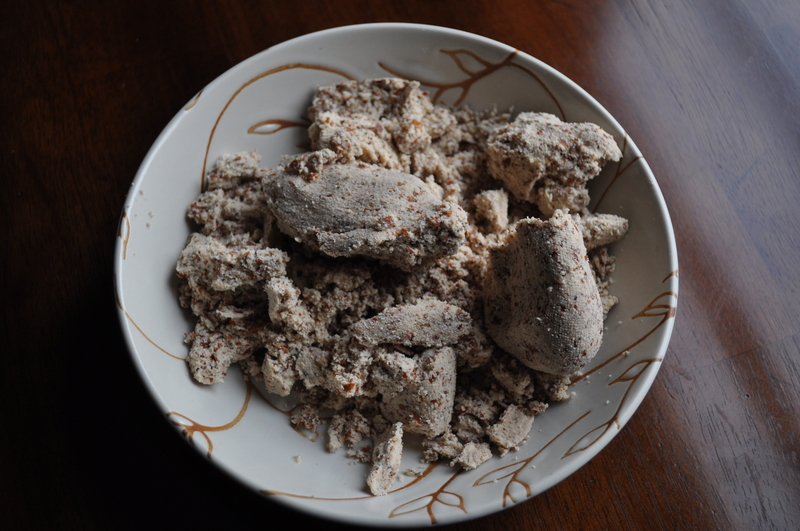 You are left with almond meal afterwards. Don’t throw this meal out. It can be dried out in the oven and used in place of flour. It is also gluten free. I set my oven to 200 and bake it for about an hour. It will make your house smell like yummy almond cookies. Before using as flour, I would suggest that you process it into a finer, flour like consistency. To store the milk, choose a bottle that you can shake because the milk will separate. It can probably keep well for about a week in the fridge although mine never lasts that long. I cannot wait to try this - what a wonderful way to save money & avoid the chemicals of store-bought almond milk! I use it every single day in my smoothies so this will be a real treat. I have a Champion Juicer could I use that instead of the cheese cloth process? I'm not sure. I haven't tried it in a juicer before. Are the almonds or other nuts organic? 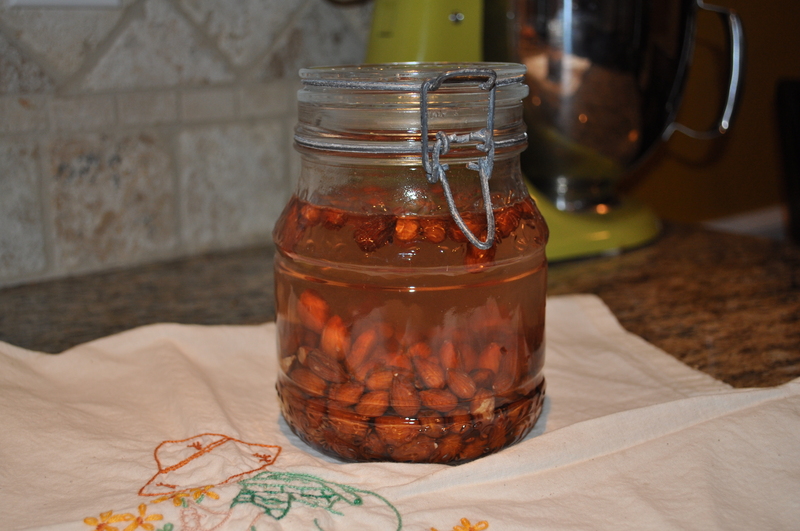 When soaking the almonds overnight, should it be refrigerated or left on the counter? Thank you! I soak them on the counter. Awesome Ann!! So glad you liked it! Where is the best place to buy organic, raw almonds/nuts in bulk? I have bought organic almonds before and they were so bitter that I had to throw them away. :( Are they supposed to be like that? No. Sounds like they may have been rancid. Yum!! I have done that before too.